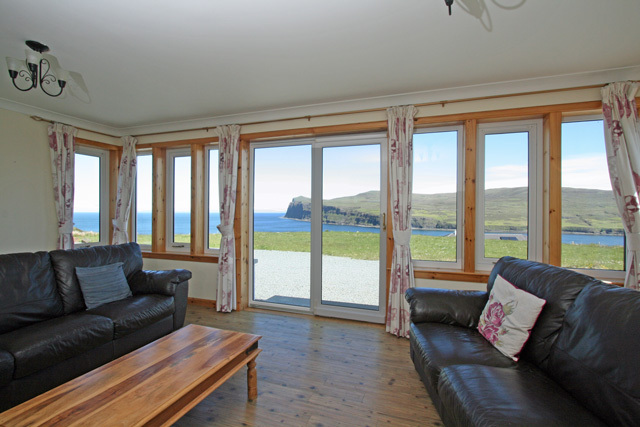 Fon Tobar is a fantastic self catering property set in a breath-taking location. 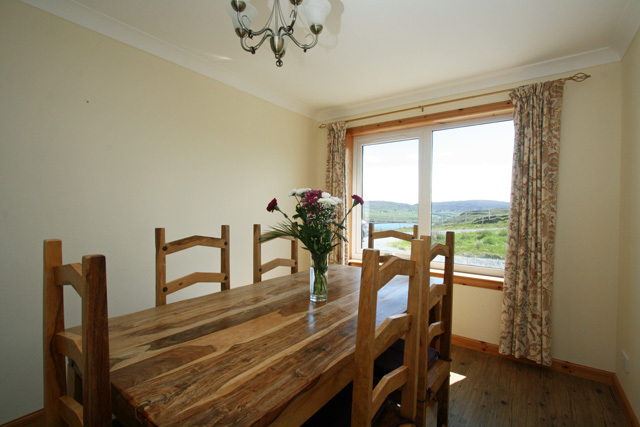 The property enjoys panoramic views across Loch Pooltiel and towards the Minch and the Outer Hebrides. 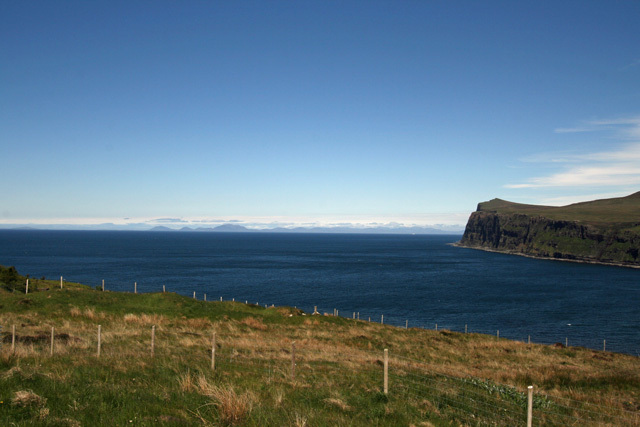 Lower Milovaig is part of the Duirinish Peninsula in the north west of Skye, and is an area of outstanding landscapes, including Neist Point renowned for its rock formations which are nearby. 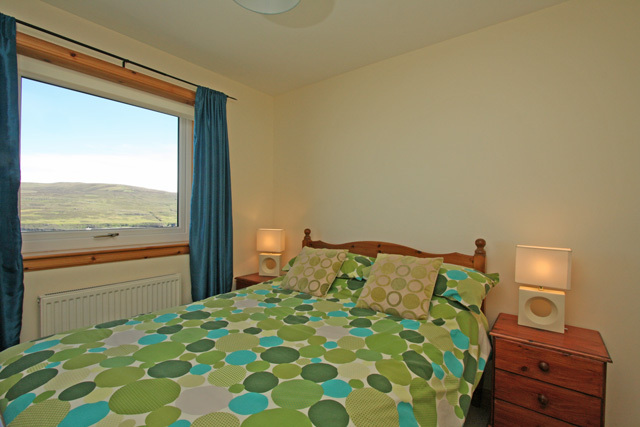 Offering spacious modern accommodation Fon Tobar is tastefully furnished and equipped to a high standard. 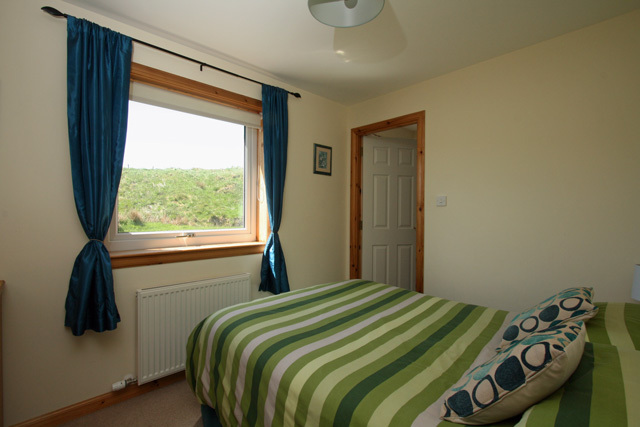 The property is set in its own grounds of 1.5 acres, making it ideal for guests with children or with a pet. 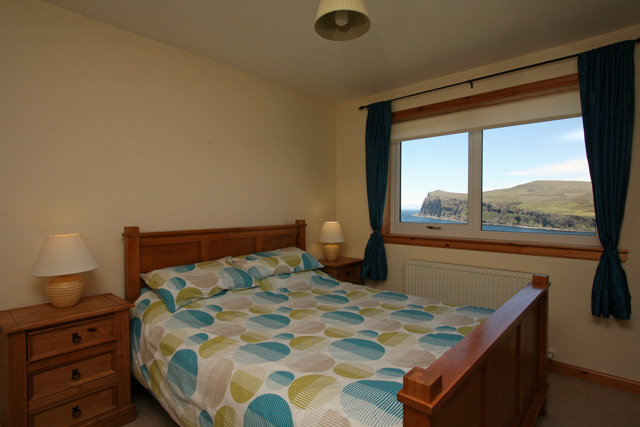 The accommodation is all on the one level, and the rooms including the sitting room with its triple aspect windows, ideally placed to take full advantage of the views. 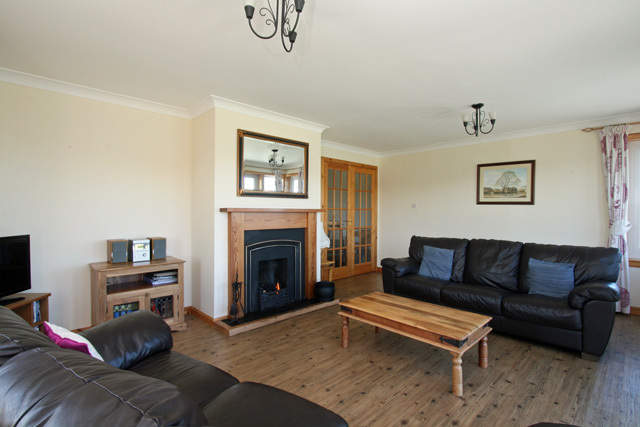 The property consists of a spacious lounge with a real fire; double doors leading from here take you through to the dining room and the well equipped kitchen. 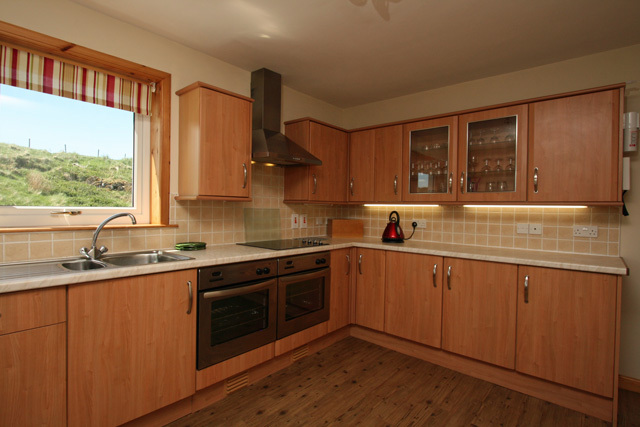 Off the kitchen is a small utility room which offers access to the rear of the property. 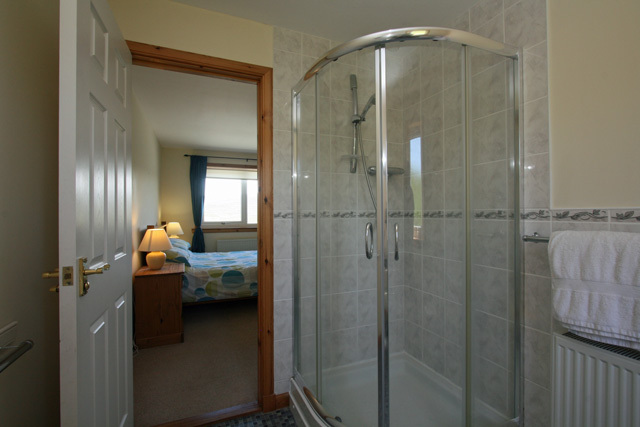 A large hall runs the length of the house, off which there are four bedrooms, a king, two doubles and a single, the king and one of the doubles both having en-suite shower rooms. 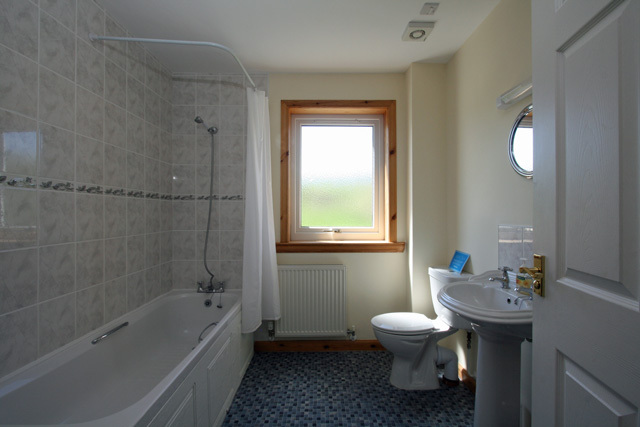 A large family bathroom and utility room completes the facilities. 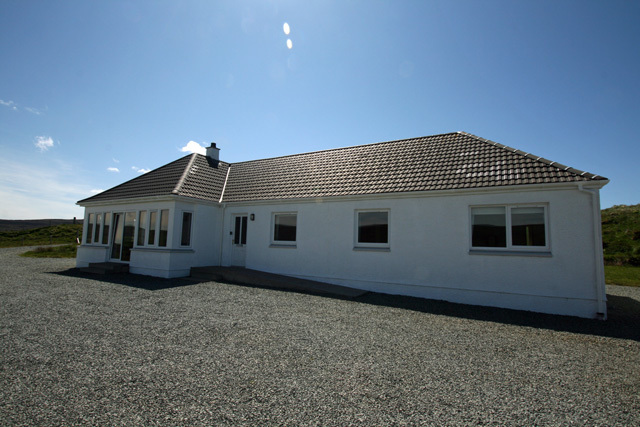 Glendale (2 miles) is the nearest village with local amenities including a village shop and post office and a small cafe. 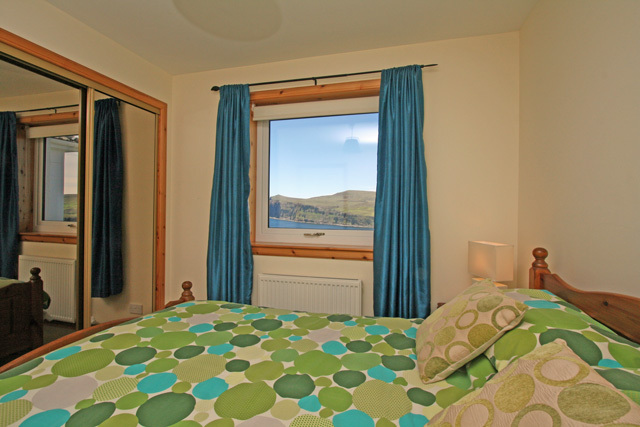 The famous ‘Three Chimneys’ Restaurant, is located just six miles away and further afield Dunvegan (15 miles) offers a greater range of facilities including restaurants, some shops and a petrol station. 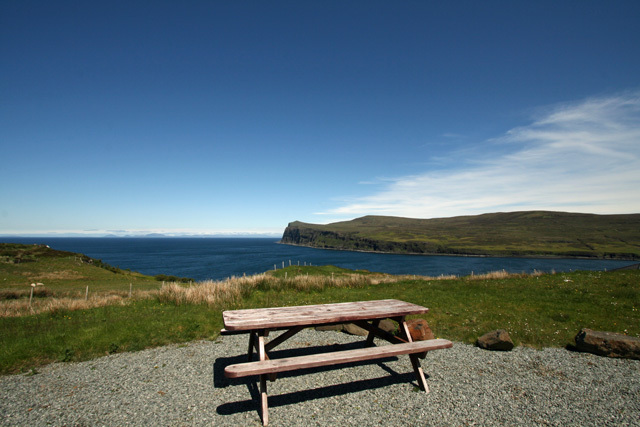 On the outskirts Dunvegan Castle is well worth a visit as is the Coral Beach at Claigan, just north of the village. 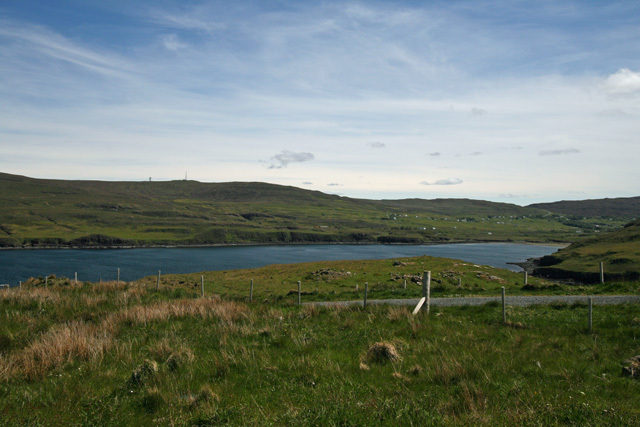 This part of the island offers a range of areas of walking and the quiet country roads ideal for the cyclist. 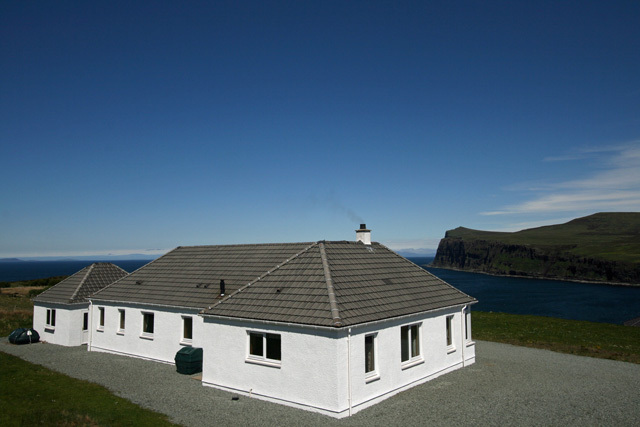 The area is rich in wildlife, golden eagles and sea eagles can often be spotted and Neist Point an ideal place to view mink whales and otters. 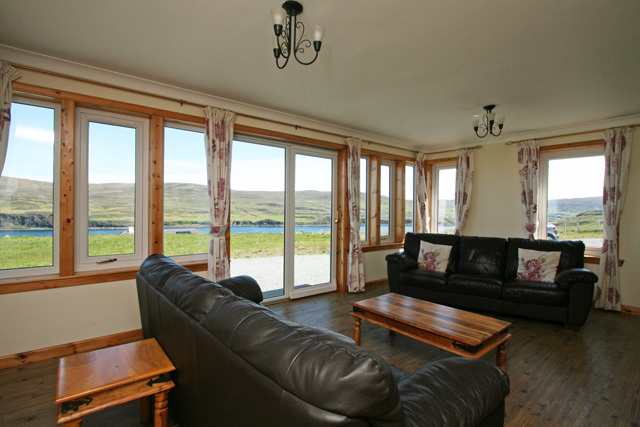 Lounge with comfortable leather sofas, open fire, SKY TV, DVD, CD player with bluetooth connection, views across Loch Pooltiel to Dunvegan Head. 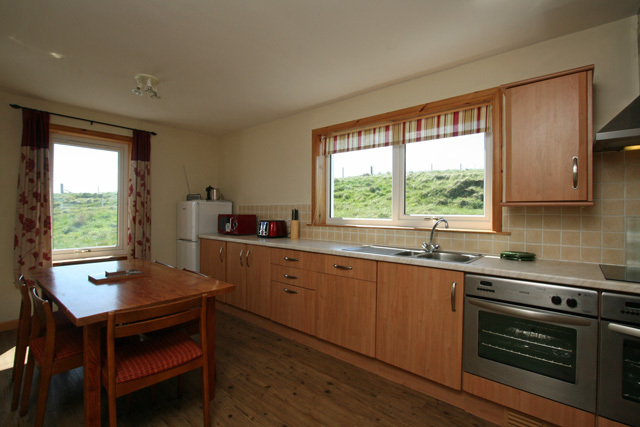 Spacious kitchen, 2 electric ovens, hob, microwave, fridge/freezer, dishwasher, dining table with seating for six. Dining room with table and seating for seven. 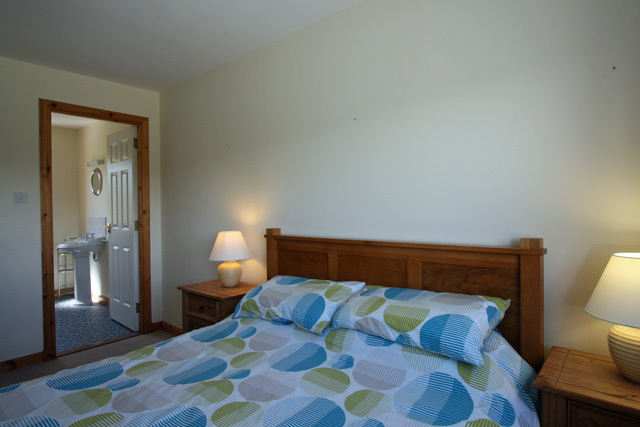 Master bedroom with king size bed, en-suite shower room, shower, wc, whb, heated towel rail. 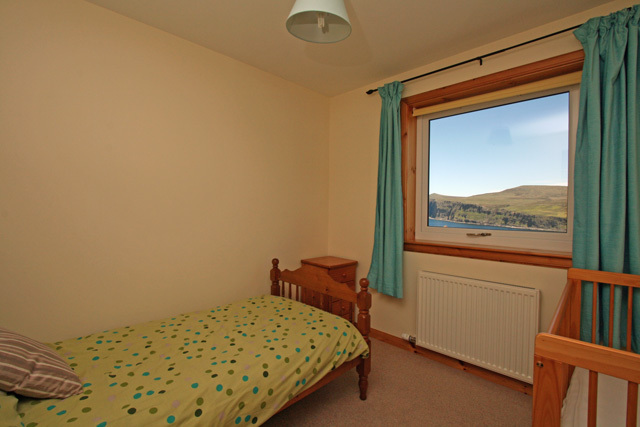 Bedroom with double bed, en-suite shower room, shower, wc, whb, heated towel rail. 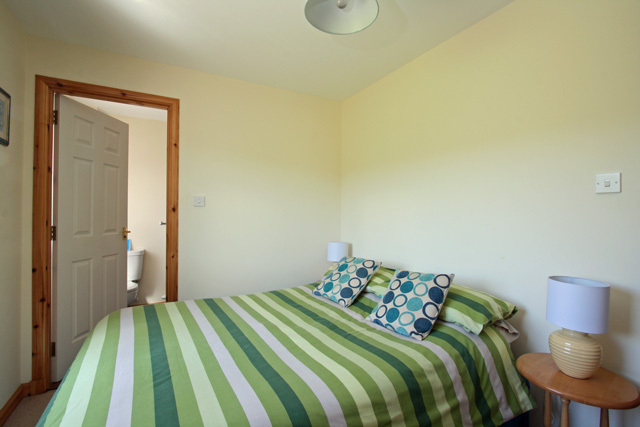 Bedroom with single bed and cot. Enclosed one acre garden with picnic bench. 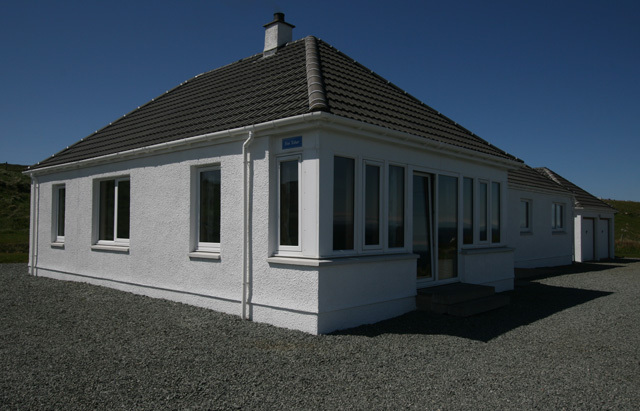 Absolutely fantastic cottage plenty of room with views to kill for, Dog loved it and collapsed every night on her bed. I will be definitely be coming back, 1 slight negative I had to change bedding on arrival other than that 10/10.